On Thursday, May 21, 2015, while visiting the campus of the Universidad Centroaméricana José Simeón Cañas (UCA) in San Salvador, Meg Stapleton Smith and I spoke with renowned author, nonviolent activist, priest, Father John Dear. Below is a transcript of our conversation, lightly edited for length and clarity. Christine McCarthy: Since we’re here on the occasion of Romero’s beatification, can you say what influence Romero has had on your vocation, if at all? “You have got to go to El Salvador and live.” The mother of the martyr saying this to a young Jesuit? Can you imagine? That’s not what you’d really expect. And I said, “Okay.” And I worked for two years—it took the Jesuits two years to give me permission to come here. And it was a big deal because no U.S. Jesuits, young Jesuits had ever come to El Salvador and so that’s why I got the royal treatment. And then it happened every summer after I did it, a group would come from around the country. And it was good because then these guys [the Salvadoran Jesuits at the UCA] were known by younger Jesuits in the States—although they treated us like dirt. So in preparation for coming, I read everything I could find about Romero and he’s just always been important. I can’t even imagine life without him, really. I don’t know if that makes sense really. Does that answer your question? CM: It does. 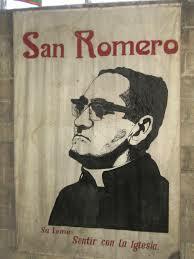 Can you speak to what significance you hope Romero’s beatification will have for the North American church? JD: I was 24. I said, “Okay, I’m just going to stay [in El Salvador], go to theology school here, and they’re going to be my teachers.” And they could see that I was an activist. I had already been arrested many times, and they said, “No, you have to go back [to the States].” And when I was here, [Jon] Sobrino said to me, “He’s [Romero’s] not just a saint, he’s Jeremiah.” Which I’ll never forgot that. He’s saying, you’re talking a person of such biblical stature in all of salvation history, he’s in your top ten people. So every bishop, much less a priest or minister, [any] public Christian—he’s the model, which is speaking out denouncing injustice, poverty, and war. And we don’t have any in the United States now, except Bishop Tom Gumbleton and [Bishop Ricardo] Ramírez who was here—I don’t know if you met him—there are none. And that’s really difficult. The Republican Party has changed and they’re not allowed to speak out, no priest is allowed to speak on anything but abortion and gay rights, and there’s lots of reasons, I can explain why that happened. So we’ve moved in a complete opposite direction and yet El Salvador produced this incredible global figure. This little, crazy country produced the greatest figure in the church. I mean, we don’t have Martin Luther King, we don’t have Mahatma Gandhi, but we’ve got Oscar Romero, that’s pretty, pretty good. And so we all have to try to be like him and speak out and give our lives. It was Jon Cortina who said it to me, “They’re just going to kill us, they’re going to ignore you, and your job is harder ‘cause you have to get your country which [has influence] over the whole world, to stop.” And that’s what I’ve been trying to do, ever since 1985. You know, I’m going home Tuesday—I have a meeting organizing 500 demonstrations around the country in September. I’m organizing the national conference in New Mexico and it’s all because of what those guys said to me. That’s what I feel, it’s an issue of responsibility. I can’t figure out what else to do to really try to be like them, that’s what I’ve tried to do. To really try to be like them, that’s what I’ve tried to do—to stand up and speak and that’s why I give lectures around the country. But these guys here, I mean, they were speaking out on t.v., and the death squads would be roaming—I mean, it would be really scary to walk right here [just outside the main guarded entrance to the UCA]. I went through that door with them many times. It was really, really scary. Their house was right down that road. And they were speaking out. They could’ve been killed when I was here with them. How they weren’t is amazing. And why aren’t we speaking out all the time? So that’s what I deal with all the time. Does that make sense? That’s what I think about. I mean all the wars and nuclear weapons and poverty and climate change. And you as churchwomen have to do that. Just blast away, working for justice and peace. If you’ve been here and you’ve seen this, you’ve been doing it but you’ve got to do it more than ever. Otherwise, what’s the point? You know? And it’s much harder in the States. It’s a lot more fun to be coming to Central America—that’s why I kept coming to Central America so many times, and then I stopped. I just realized I have to be—I went to prison in the United States instead of coming here, did a Plowshares activism. Then I went to Iraq instead of coming here and then I went to Afghanistan last year, which was really scary—it was like ’85 all over again. And then I was on a national speaking tour of England for a month, speaking everyday about a year and a half ago, and I got a message from Julian Assange, asked if I could spend a day with him. It was the first time I’ve felt anybody like [Ignacio] Ellacuría. That’s why they want to kill him and lock him up for life and get him on any charge they can because he’s the biggest threat to America in the whole world, like Ellacuría was. And it’s scary. And I thought, “What am I doing? What are we doing? What are you doing?” We have this Jesus story and we see it being lived out here by people in this country. It’s really hard to get out of your comfort in the States and really get involved, organizing. 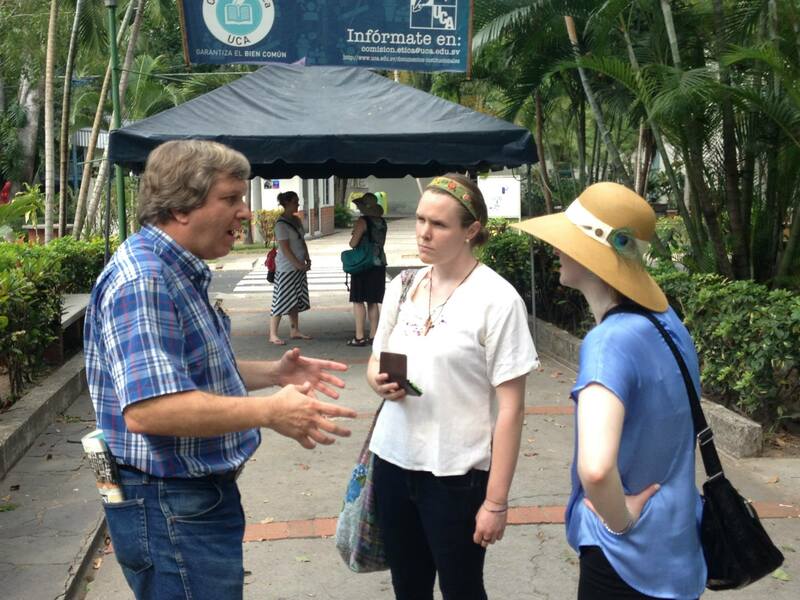 Father John Dear speaking with Meg Stapleton Smith (center) and Christine McCarthy (right). Photo credit: James T. Keane. Meg Stapleton Smith: When I studied here, talking to some people who were guerrilla fighters, I had some people who would say, “I had no idea what a communist was.” Sometimes people would say, “They told us that Castro or whoever was half monkey, half man, and I didn’t know what it was, they were just trying to scare me,” [they] move to take up arms and a lot of them said, “I felt like I had no other choice. It was die or pick up this gun.” And [how] do you speak to that as someone, as a Christian, as following the model of pacifism? JD: Easy. And so I had all that conversation the first time I was here. Number one: first of all, you don’t speak to it, unless you’re asked. When [people in the Salvadoran refugee camps] started pressing me, I was saying, “You know, I was just in prison.” And then you’d get, “Why were you in jail?” “’Cause I was protesting?” And then, “Why would you do that?” “Well, we have this guy Martin Luther King and he was with Jesus and he said we have to be nonviolent. We have to resist but without guns.” Then they could hear me. The Jesuits wouldn’t, they laughed at me. Later, I lived in Belfast, during the peace agreement, all the IRA was willing to meet with me as a priest who had done as much prison time as them. And Gerry Adams eventually read all my books on nonviolence because he could hear me because I had been in prison and I didn’t come on strong. Do you see what I mean? So you have to get some credentials. You have to suffer. You have to suffer some in the States so I recommend going to prison. Number two: I haven’t been giving speeches here. I was in Colombia and they asked me to speak to 5,000 people in Bogotá, and I said no because it’s just another white male priest telling them about nonviolence. It might have helped, they said. It was still front page of the papers but I didn’t believe it. The change has to happen in the States. We’ve got to get everybody in the States to be for nonviolence. Everybody’s for nuclear weapons or war in the States. Every priest, every bishop in the United States. Try to convert them. That’s why the guerrillas were fine. And when I got to know them and I was telling Robert [Ellsberg] some stories, they were fine with me and it’s like there’s no other choice and we’d all be doing it, too. I was in Afghanistan a year and half ago, we’d all be in Al Qaida. There’s, like, no other option. They’ve never heard of Martin Luther King. The word “nonviolence” was never used in El Salvador. Haiti has it used. In South Africa, it had a little bit of use. Only once, two, three weeks before he was killed, F.O.R.—the group I used to work with—interviewed Romero. They flew somebody down there and got him to talk about nonviolence. He was just beginning to know there was such a thing. Didn’t have a framework to explain to people who would join the guerrillas, “you can still resist but you can do it nonviolently.” His language doesn’t work. I don’t think Romero’s convincing because he’s saying—you don’t know how to say it. You can’t use the word “pacifism” –I never use it. He’s saying we’re for peace, we’re for reconciliation—well that doesn’t explain it. You’ve got to give your life but you can’t be with the guerrillas, you can’t be with the military. But Gandhi said use the word “nonviolence” and that works. Nonviolent resistance. So that’s what I’ve learned. But I’ve traveled the whole world and it’s never been an issue. When you meet real people who’ve killed a lot of people—as I have for justice and peace—I have seen a lot of them change once they hear my experience. They just never knew it. They’ve never heard of Gandhi. The people here, they just never. And Romero didn’t have the language. If he had lived a bit longer, he might have learned more and it’s our great regret. I mean I could go on about these Jesuits. You know who Daniel Berrigan is? They were mean to Dan. 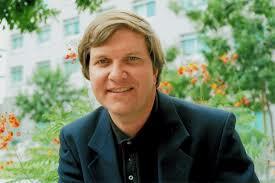 He was here in 1984 and Dan was greater than them. And there was no interest—I got a little of it this morning—there was just no interest in our work in the United States. And that’s too bad. [Archbishop Desmond] Tutu had some of that in South Africa. But we have Martin Luther King and Martin Luther King and Gandhi are really the answer to your question: you give your life to ending the wars and injustice but you do it through Jesus’s method of the Sermon on the Mount. JD: [On getting a Ph.D.] Please do it for the revolution. Otherwise, don’t bother, will you? Cause some trouble. And not just in the church, but for the world, and then you’ll bring the church along. Don’t keep fighting the church. You know these guys were taking on the country. That’s what I learned from Dan [Berrigan] and Dr. King: in the process you change the church. Work to end poverty and war and nukes but steal all that intellectual stuff for the revolution, otherwise, forget it. And it makes it much more fun to have everybody pissed off at you. 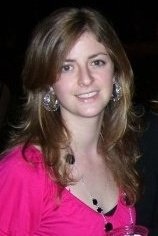 Christine E. McCarthy is a Ph.D. Candidate in Systematic Theology and Ethics in the Department of Theology at Fordham University. Her dissertation work is on the intersection of Catholic Social Thought and family planning. She received her B.A. in Theology with a minor in International Studies from Boston College in 2005 and her M.A. in Theology from BC’s Graduate School of Arts & Sciences in 2006. 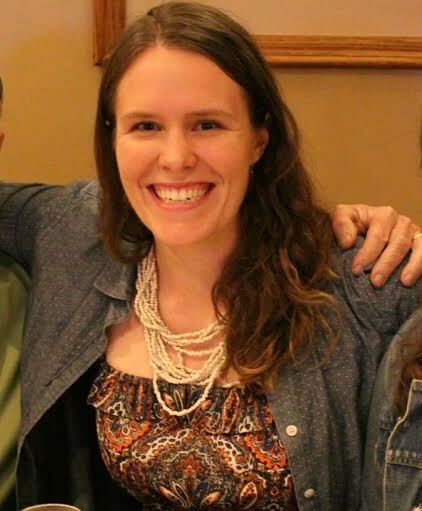 She lived and worked at a care center for HIV+ indigenous women in Santa Cruz de la Sierra, Bolivia, for five months in 2006 before returning to New York to work as a religion teacher and campus minister at an all-girls high school in Downtown Brooklyn. In her spare time, Christine enjoys cooking, swimming, and watching documentaries.